Genuine OEM Kyocera Mita Toner Cartridge, Black, 12,000 page yield. Kyocera Mita part number: TK-342, TK342. Laser Toner Cartridge compatible with Kyocera Mita FS-2020D. 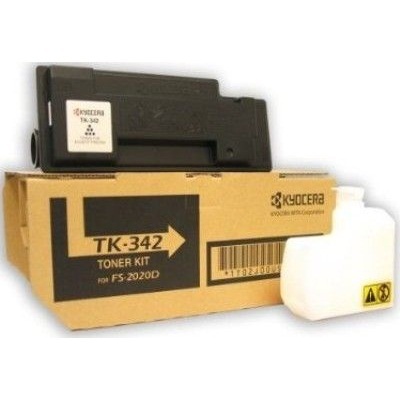 Compatible Kyocera Mita Toner Cartridge, Black, 12,000 page yield. Replaces Kyocera Mita part number: TK-342, TK342. Laser Toner Cartridge compatible with Kyocera Mita FS-2020D.